Milford – On February 2, 2017 officers from the Milford Police Department responded to the Brightway Commons Apartment Complex to check on the welfare of an individual after there were concerns for his well being, according to Milford Police Spokesman Sgt. Robert Masten. Masten said that upon arrival officers contacted Quinton L. Sivels Jr, 32 of Milford, and were unable to identify any concerns about his well being. Officers did learn Mr. Sivels was wanted by the Kent County Court of Common Pleas for failing to appear for an arraignment. A further search of Mr. Sivels located small amounts of heroin and cocaine, said Masten. 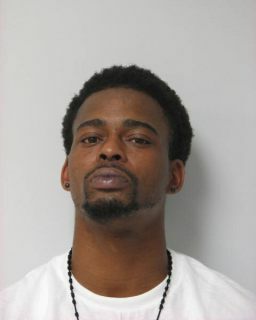 A warrant was later obtained and Mr. Sivels has been charged with two counts of Possession of a Controlled Substance. Mr. Sivels was presented at the Justice of the Peace Court #2, where bail was set at $1000.00 unsecured. Mr. Sivels was committed by the court to the custody of the Delaware Department of Correction at the Sussex Correctional Institution for the failure to appear warrant out of the Kent County Court of Common Pleas. Mr. Sivels is scheduled for an arraignment on 03.29.2017 at the Kent County Court of Common Pleas for the Possession of a Controlled Substance charges.